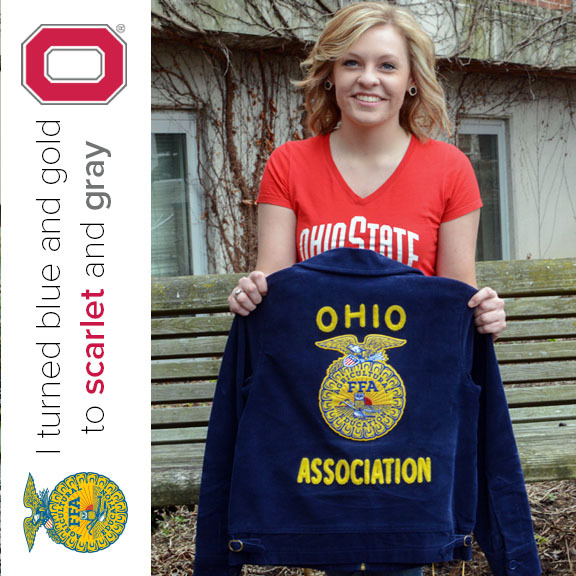 Check out our ACEL students and faculty who turned their FFA blue and gold into Ohio State’s scarlet and gray! 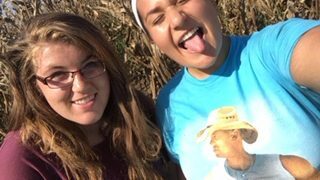 I grew up in the agricultural education classroom and I felt pretty confident about the material my teacher was able to provide us. I learned how to make my own sawhorse, how to wire some electrical circuits, and I even learned how to weld two pieces of metal together! These are some things I could have never imagined learning in the classroom, and its part of the reason why I chose to major in agriscience education. If you really enjoyed this part of FFA and the ag classroom, then you are sure to love ASM 4300. Dewey Mann is the kind professor who has taken on this huge course for the past couple of years. The course encompasses engineering and technology applications that are essential to the operation, selection, and management of the processes, machinery, structures, soil and water, and materials handling systems in agriculture. If you can’t believe this course covers all of those topics, you would be amazed at the activities and events Mr. Mann provides throughout the term of the course. 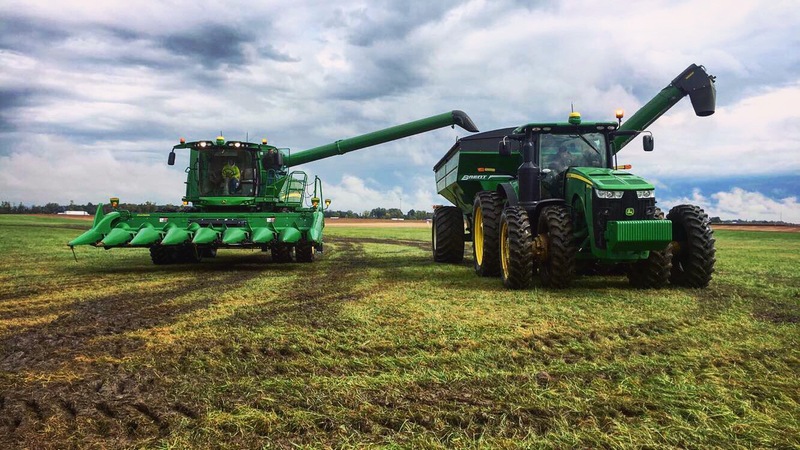 I never had the opportunity to use agricultural machinery in a field (as I did not come from a farm background) and in this course I drove combines, tractors, and other implements! I learned how to test soil for phosphorus and measure field yield efficiency. These skills are vital in the agricultural community and it’s important for an educator to understand the basics of production agriculture. When we didn’t spend our days visiting seed companies and talking with implement dealers, we would learn about the electrical circuits, small engines, plumbing and fitting, you name it! This class has provided me a list of skills I can proudly demonstrate for my future students in the classroom. From concrete to land surveying, to welding and harvesting, ASM 4300 is a well-rounded course that incorporates numerous aspects of the agricultural industry you may not learn about in other courses or aspects of life. 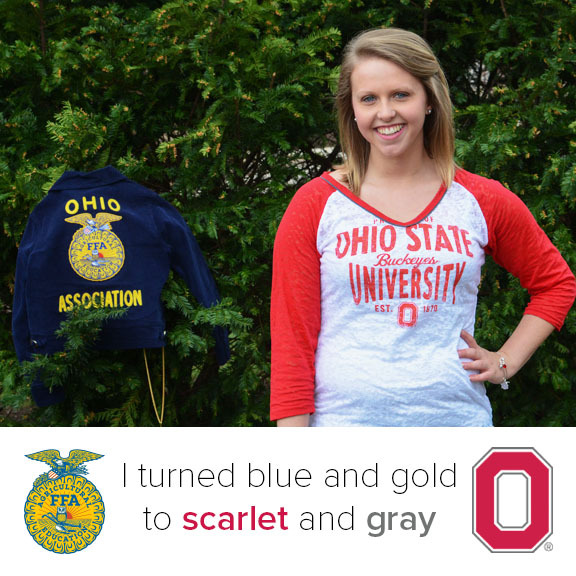 Not an agriscience education major? Fear not! This course is designed not just for agricultural educators and would definitely be a great class recommendation for students who are interested in production agriculture! 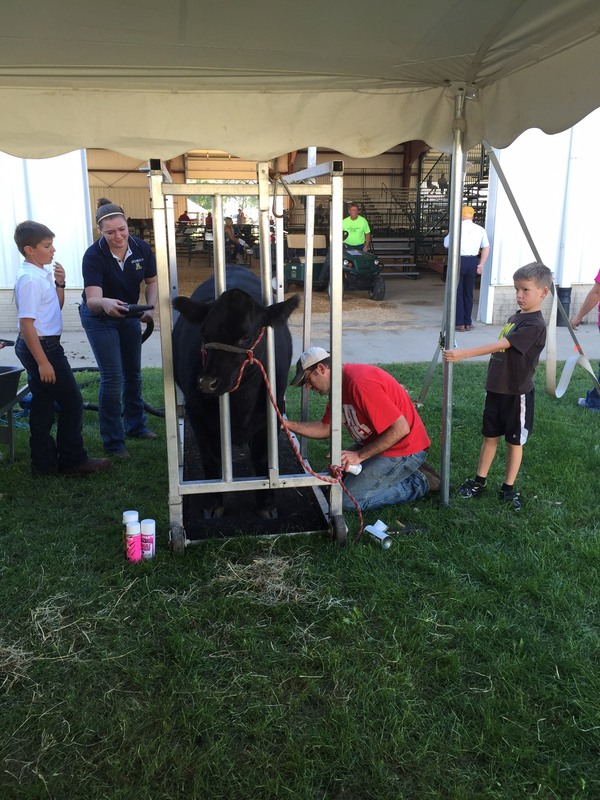 A special thanks to Dewey Mann for instilling these valuable skills into timid students who have a passion for agriculture. 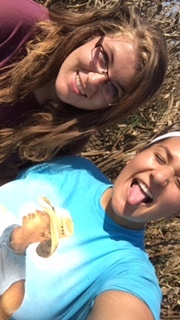 Taking a little break during a lab to snap a photo with Rachel, a fellow agriscience education student. I loved the experience of driving this machinery! 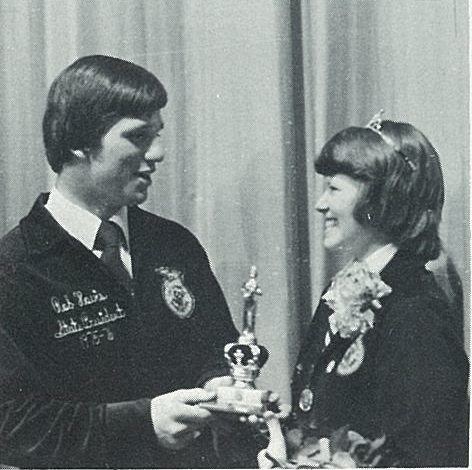 During National FFA Week, it is with gratefulness that I briefly reflect on an historical aspect of my high school FFA experience during the late 1960s and early 1970s. 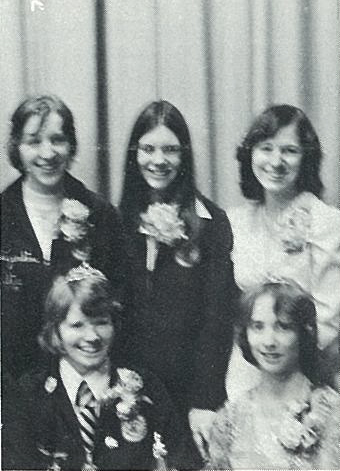 As has been recorded in our FFA history, women were voted into membership in the FFA in 1969, so my agricultural science teachers in the early 1970s at Benjamin Logan High School in Zanesfield, Ohio, unlike many Vo-ag teachers of the time, were immediate adopters of the new membership policies…but, I never knew any of that at the time; I didn’t process the timeline, nor understand the political maneuvering of the membership vote, until many years later. What I now understand and appreciate, however, is that I had four male agricultural science teachers in the 1970s, who played no gender favorites, who expected the same quality productivity from every student no matter their gender, and who saw potential in me that I had not yet seen in myself. 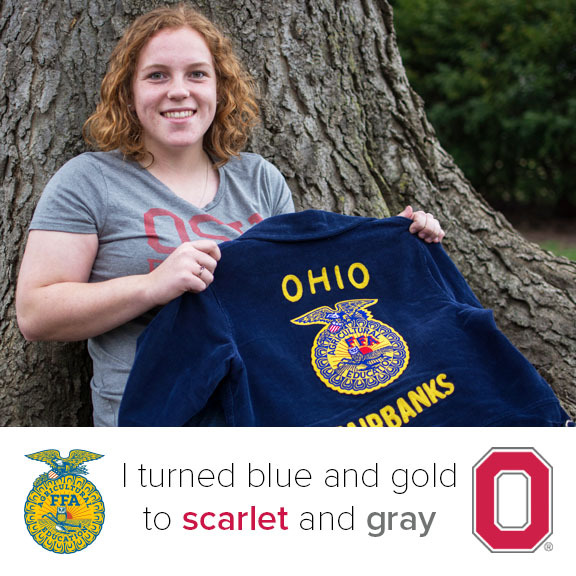 I also now understand, because my life revolves on a daily basis around developing the best agricultural science teachers that The Ohio State University can prepare, that Mr. Bill Conklin, Mr. Jim Barnes, Mr. Harmon Conrad, and Mr. Paul Case, my agricultural science teachers, were well-educated in teaching methodologies, were excellent FFA advisors, and cared deeply about students. 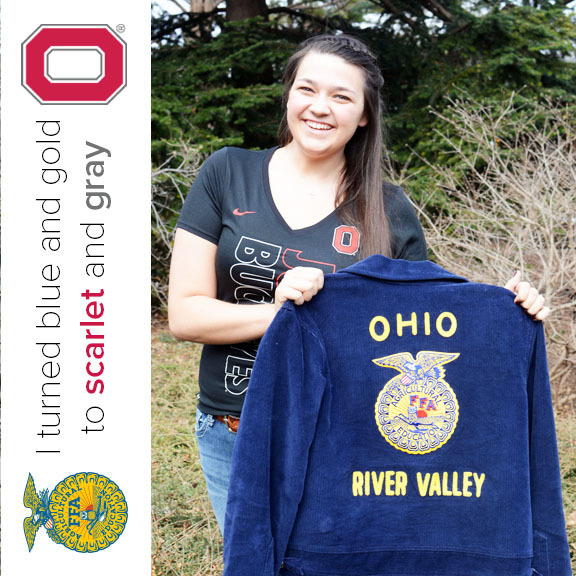 My dad was a high school vocational agriculture student and FFA member at Rushsylvania High School in Ohio, under Mr. Ralph Bergman, a highly respected teacher, state-wide. I recall, my entire life, hearing my dad quote and reference Mr. Bergman with much pride, respect, and awe in his voice and in his actions. 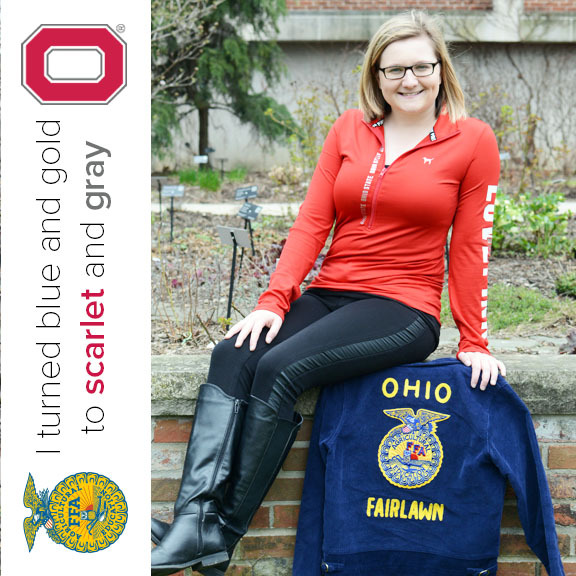 So, it was no surprise, when my oldest brother approached high school age, that my factory-worker father, would move our family to a small farm, so my brothers could be agriculture students and FFA members. 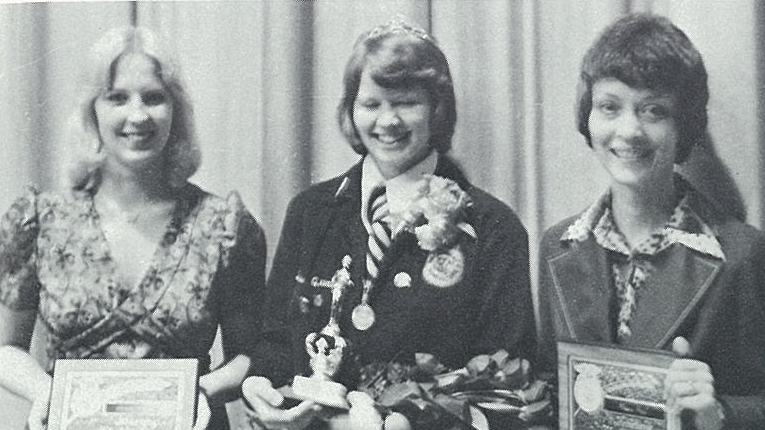 Thankfully for me, in 1969, a vote, albeit fueled by government intervention, made it possible for me, and generations of women after me, to experience first-class leadership development through FFA. More importantly, to me, however, the vote opened the door necessary for women to pursue fulfilling careers as teachers of Agricultural Science Education. I, and thousands of women after me, are, indeed, grateful. Two of Dr. Whittington’s FFA advisors who were influential in her time as a member and beyond. Queen Susie and her FFA court. Dr. Whittington, posing with the members of her FFA chapter, was one of a few females in her chapter. 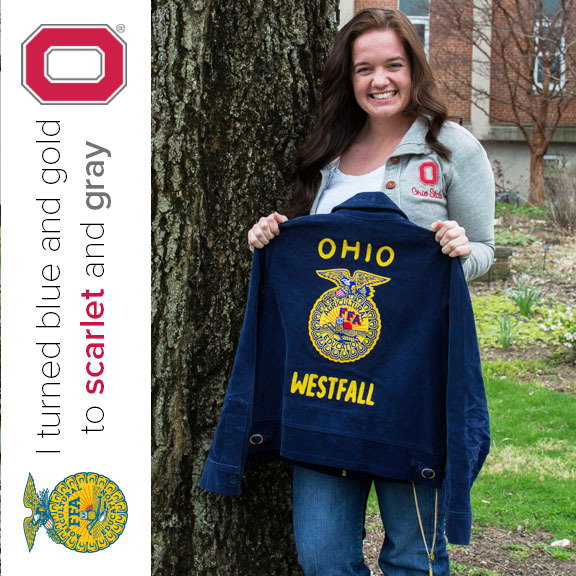 Dr. Whittington receives recognition from then Ohio FFA State President Rob Hovis. Junior Susie Quay was named Chapter Sweetheart and is pictured with two honorary members. 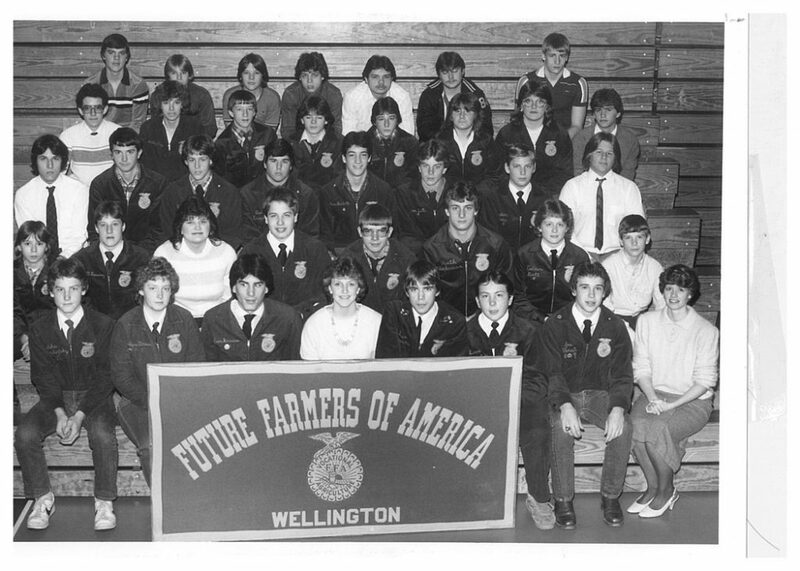 Dr. Whittington’s (bottom right) first FFA chapter as an educator. 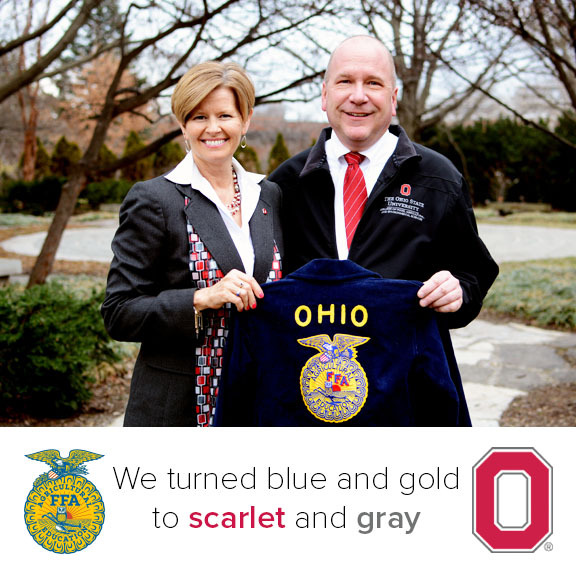 Dr. Susie Whittington, and her husband Dr. Pat Whittington, both turned their FFA blue and gold into Ohio State’s scarlet and gray. 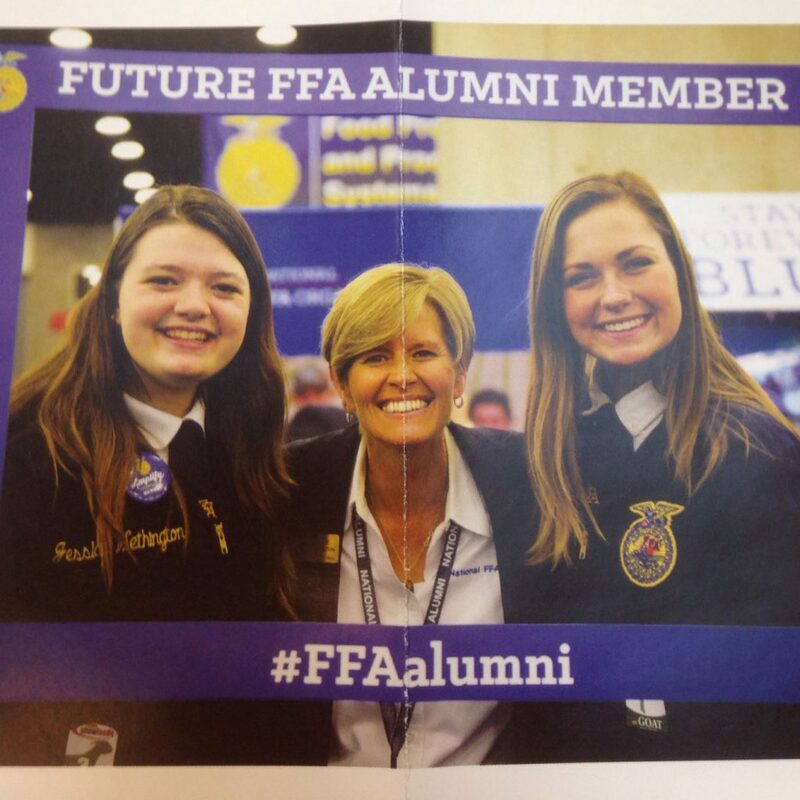 Dr. Whittington now serves on an FFA alumni poster. There are times in your life when things come full circle. It’s the idea that who you knew in one setting or what you had done previously surfaces or links to something in present time in a new, yet familiar way. After having had the opportunity to move back to Ohio this summer, I’ve had a number of “full circle” moments. For example, my office at OSU is the room where I defended my master’s thesis. When I met the donor of my first Ohio State scholarship this past fall where I’m now in a capacity to give back myself. When I walked into the Agriculture Hall of Fame breakfast, I found myself catching up with numerous friends, college mates, and acquaintances I had not seen for years after having convinced myself I wouldn’t know a single person in the room. When those full circle moments occur, I find myself reflecting on those links that had made those full circles come to fruition. 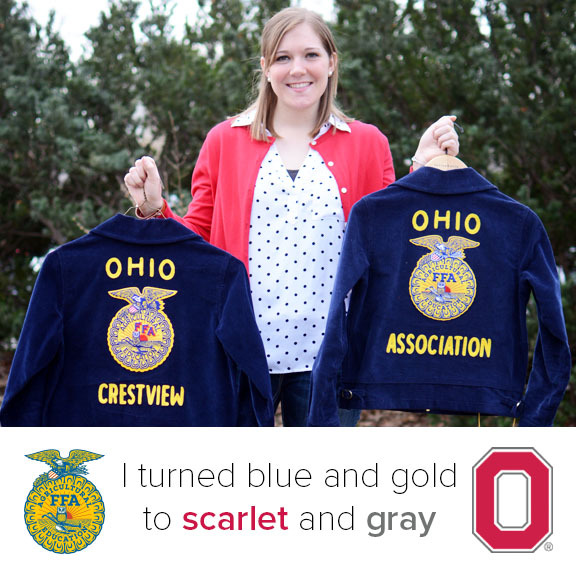 I would argue that some of my most powerful full circle moments are connected with my involvement in FFA. 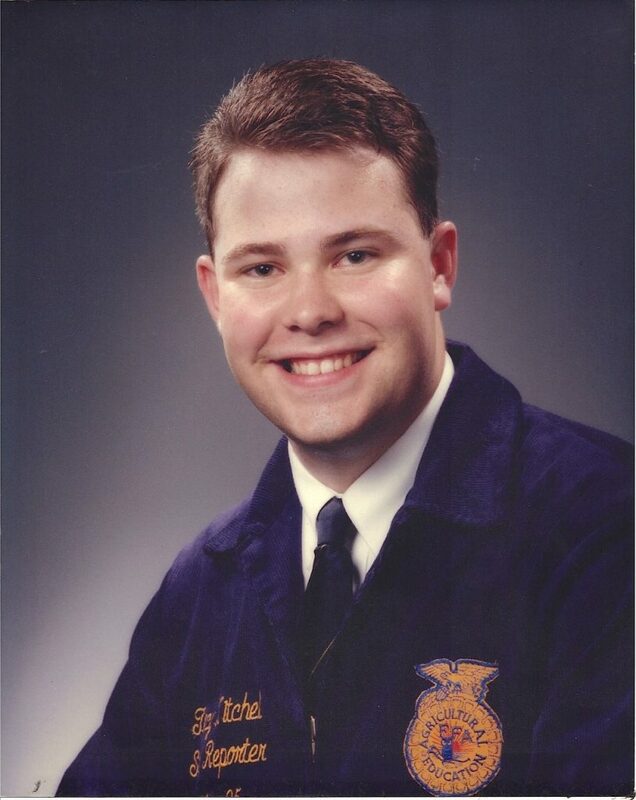 My first set of full circle moments happened when I had the opportunity to serve as the 1994-1995 State FFA Reporter. It makes sense, really. 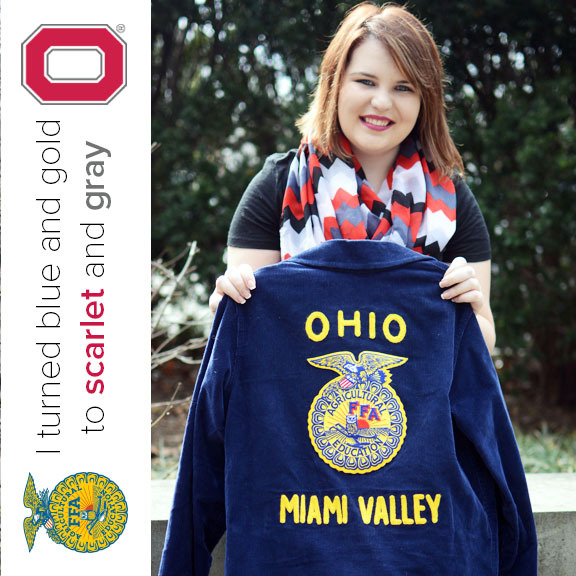 I had the opportunity to conduct chapter visits to inspire other FFA members like I had been inspired by state officers before me. I had the opportunity to be a part of running the state FFA convention, an event that had motivated me year after year as a high school student. The most significant full circle moments for me as a state officer was spending time with FFA members one-on-one. I was not the best officer in terms of meeting a large proportion of FFA members at any given event, but the members I did meet I knew well. 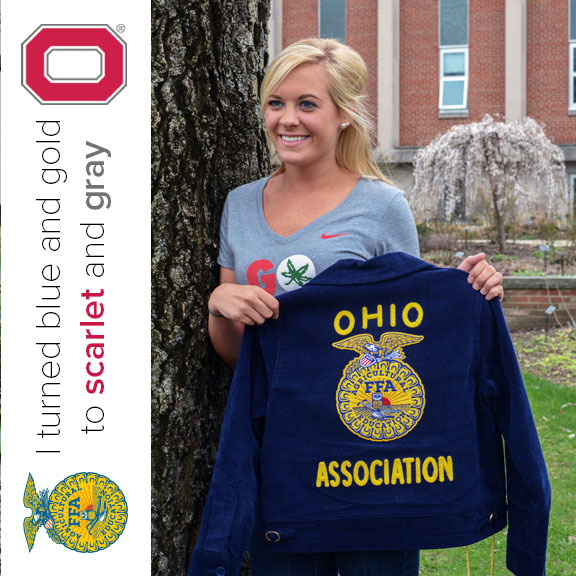 I remember when state or national FFA officers took time to talk to me one-on-one. 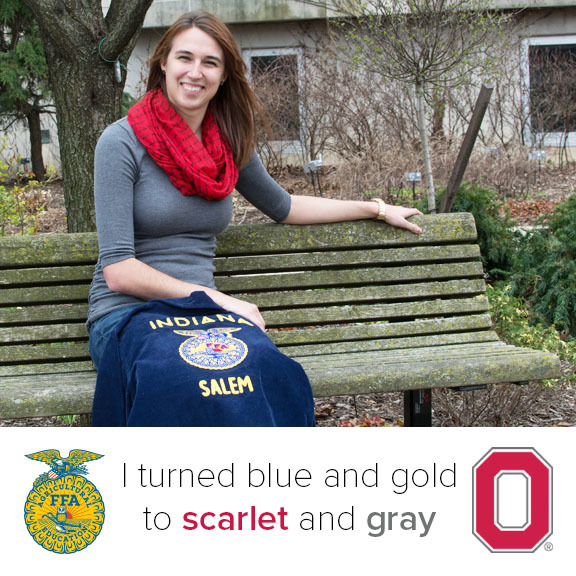 Those were very impactful conversations that helped shape my FFA career. I can only hope that some of my conversations did the same for others. 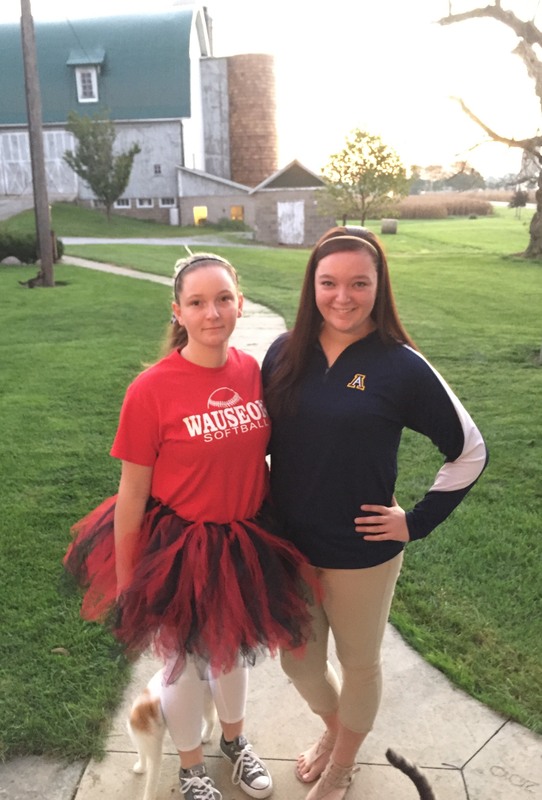 More full circle moments occurred when I became an FFA advisor. 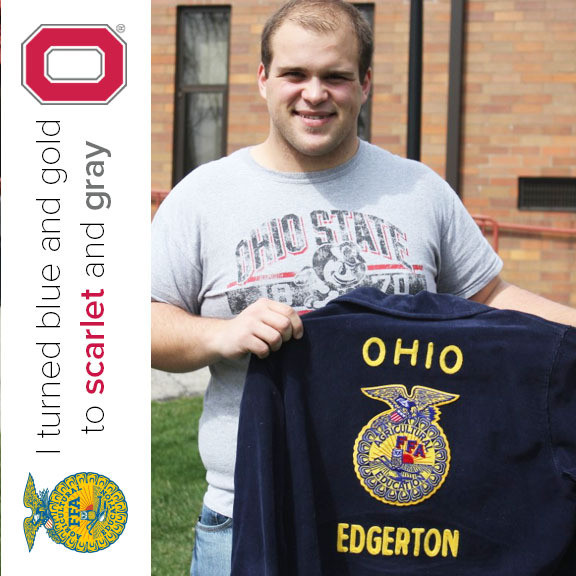 I was the agriculture teacher and FFA advisor at Archbold High School from 1999-2002. Again, there were many opportunities for those full circle moments. Some full circle moments felt more like karma. For example, I had know-it-all students in my class that drove me crazy – a characteristic that I’m sure I surfaced for my agriculture teacher who was equally annoyed with me. Others were more powerful. I remember the faces of my students when I took them to their first national FFA convention session – the same awe-inspiring face I had years prior. 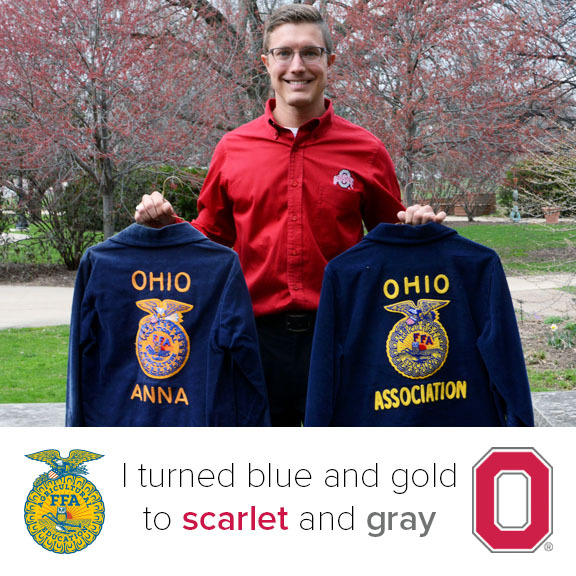 I recall my students understanding – and even thanking me – for requiring them to have nice-looking official dress, which is something I took pride in as an FFA member myself. 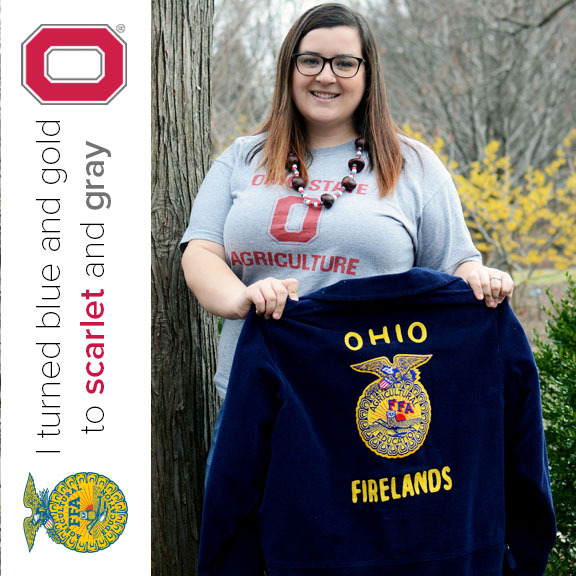 I think my favorite full circle moment was watching students fall in love with agriculture in my classroom, just as I had fallen in love with agriculture from having lived on a farm and a love that was reinforced from my experiences in FFA. 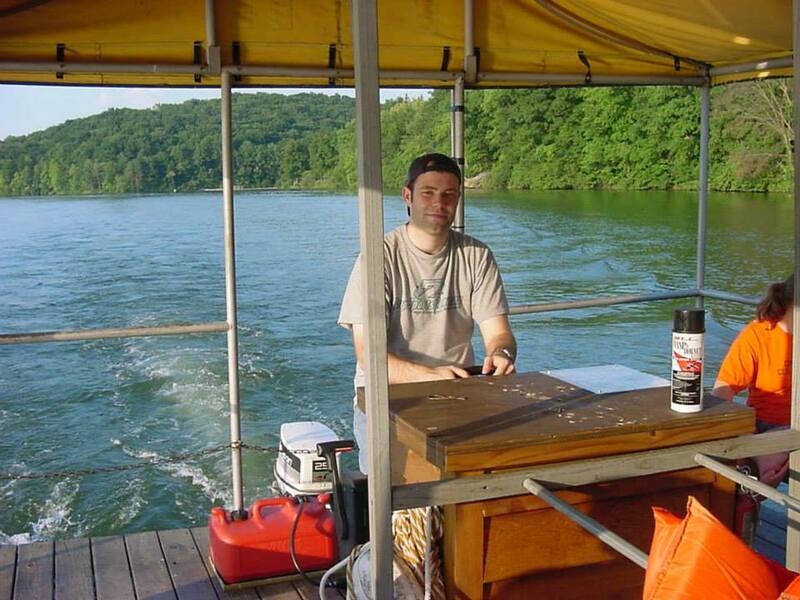 Dr. Kitchel driving the pontoon boat at FFA camp during his chapter’s FFA officer retreat. I would be remiss in not sharing one of the most powerful full circle moments. 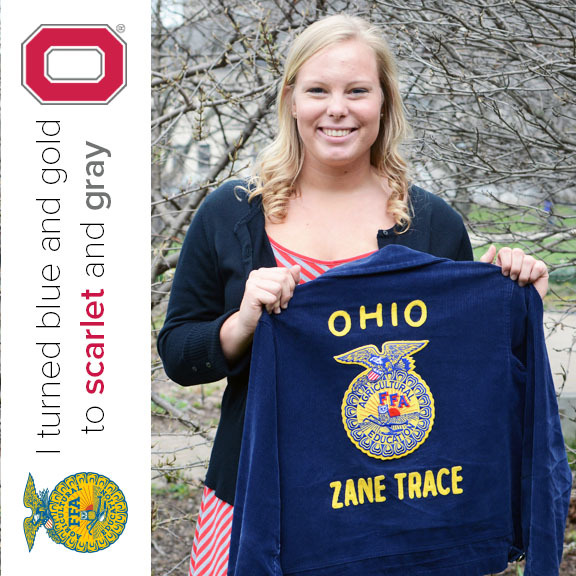 As a professor and teacher educator, I have the opportunity to train future agriculture teachers and FFA advisors. I could spend hours on the full circle moments watching these future teachers move from student to student teacher to beginning teacher and now to master teacher. 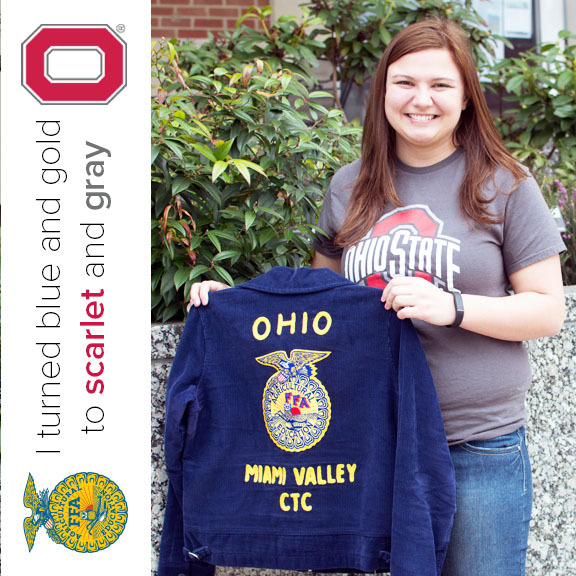 However, that powerful full circle moment is connected to one of my first college students, who happened to be the daughter of my agriculture teacher. 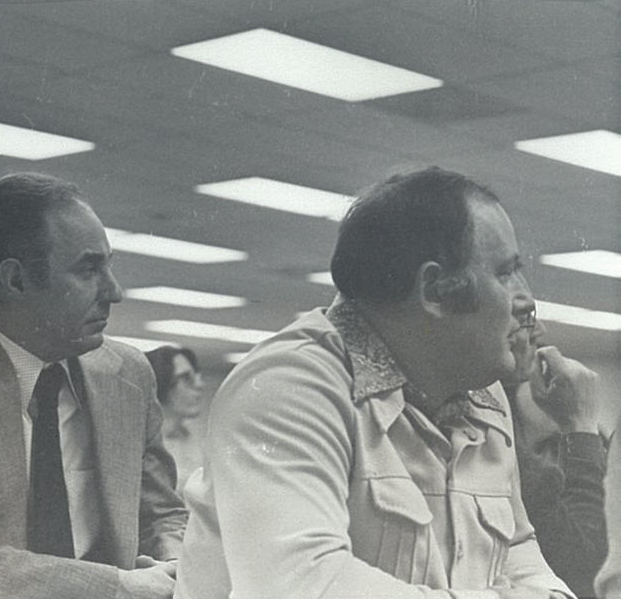 Joseph K. Slone, former agriculture teacher and FFA advisor at National Trail High School, is on a short list of pivotal people who helped shape my career. Needless to say, there was immense pressure to make sure his daughter was take care of and trained well. I was a new Assistant Professor and newly-minted Ph.D. when Joe Slone brought his daughter Jessica to summer registration in 2005 at the University of Kentucky. I would be assigned as her academic advisor, would later teach her teaching methods course and eventually would be her university supervisor for student teaching. Whether she liked it or not, she was stuck with me. My parents shared with me that throughout Jessica’s college career, Joe would quiz them about whether I was staying or leaving (even when there was no evidence of me leaving). He shared with them that he had great relief knowing I was in Lexington and that I was her advisor. Be he also shared that if I ever left, 1. that relief would go away and 2. he would likely hunt me down. 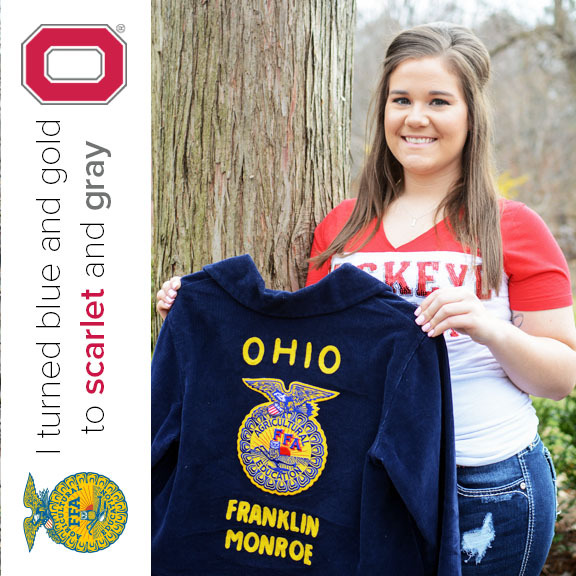 I took great pride (and felt great pressure) in knowing the trust he placed in me to not only take care of his daughter, but felt that pride and pressure even more so in being a key part of her development as an agriculture teacher and FFA advisor. It truly was full circle in the most fulfilling way. 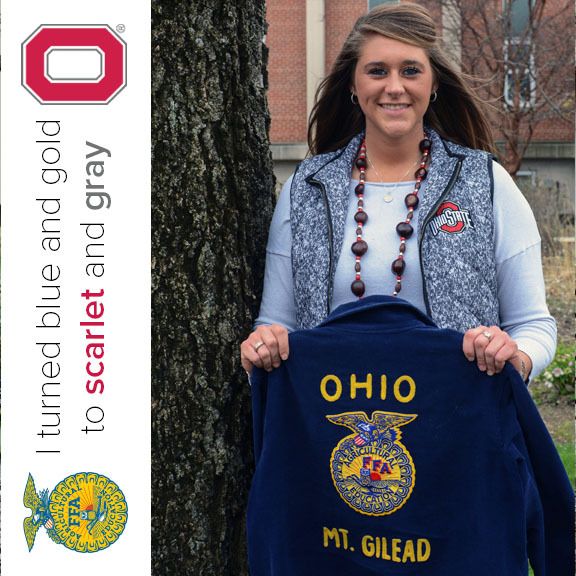 I’ve enjoyed watching her career blossom and now that I’ve returned to Ohio, I am much closer to see her change students’ lives as she continues to build the Covington agriculture program and FFA chapter. 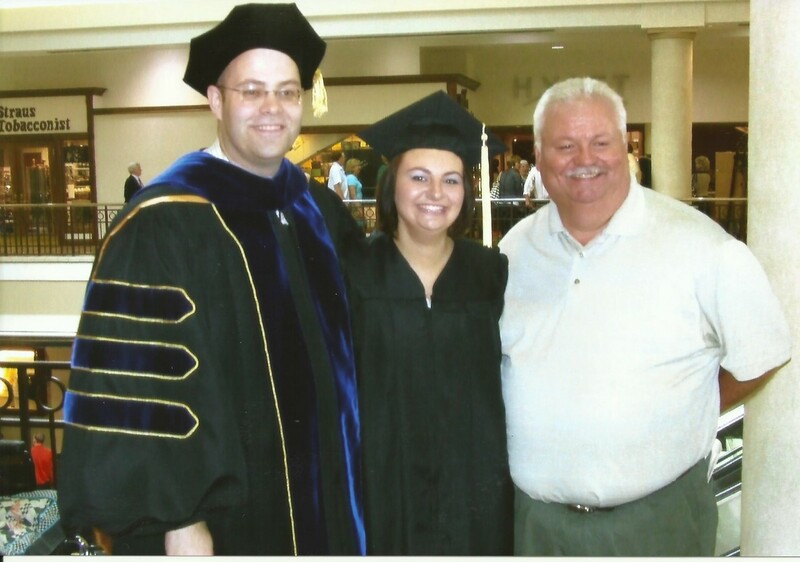 Dr. Kitchel (left), Spring 2009 University of Kentucky graduation. There were great things that occurred while I wore that blue corduroy jacket. My experiences in that jacket took me to places I had never been, both physical and otherwise. It transformed how I thought about myself, who I wanted to be, and gave me tools that I use in my life today. 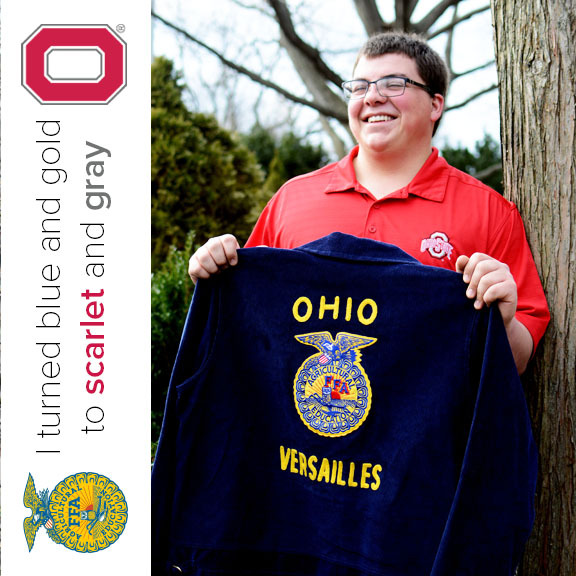 With that said, I think some of my best experiences with FFA have been after wearing that jacket. 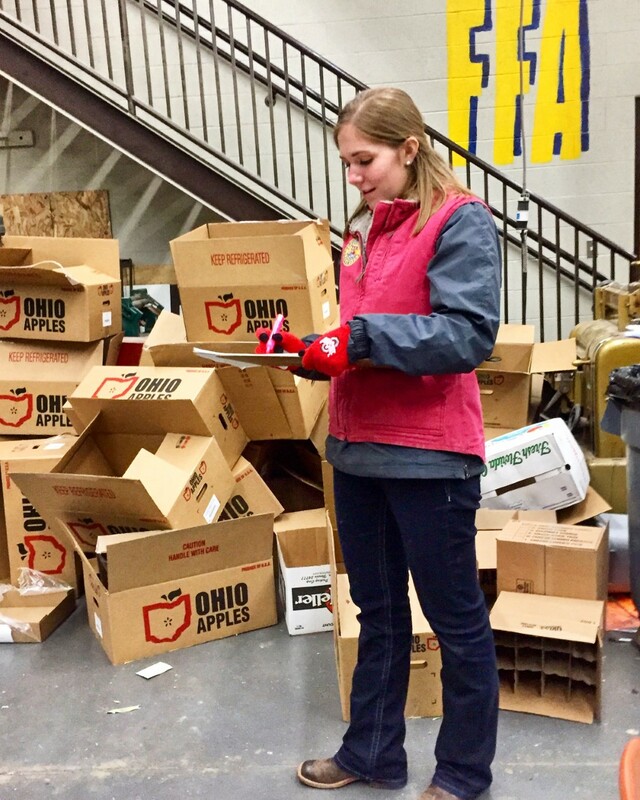 Your experiences with FFA do not end in high school – that’s only where they begin, if you let it. 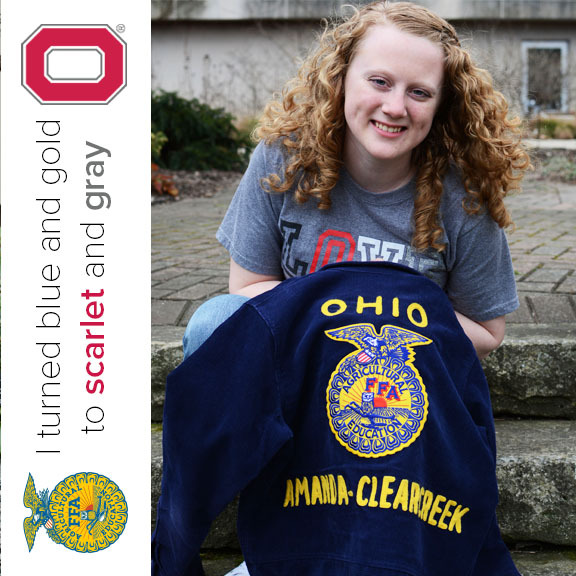 Find your full-circle moments by staying connecting with FFA locally, state-wide or nationally and consider becoming an agriculture teacher/FFA advisor yourself. 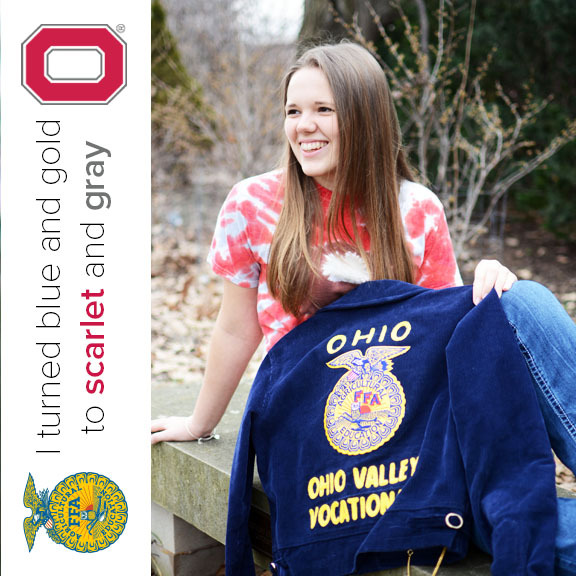 You will find joy and fulfillment in engaging in those FFA full circle moments. Congratulations to the students in the Department of Agricultural Communication, Education, and Leadership who were named to the Dean’s List for the 2016 Autumn Semester. 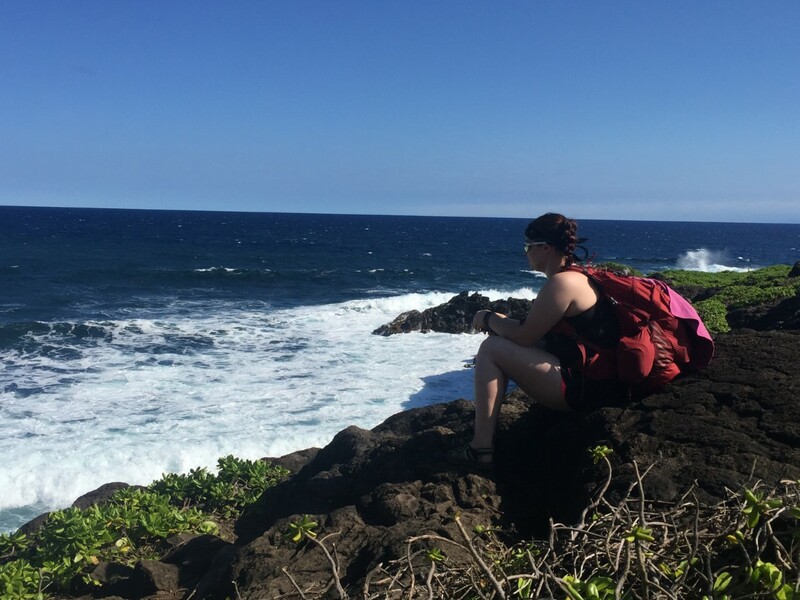 I hear it every time I ask my parents about an upcoming trip; “The cheapest you’ll ever travel will be your years of college, so go!” Taking full advantage of my parent’s willingness to see me fall in love with every part of the world, I started packing my bags to go to Hawaii. 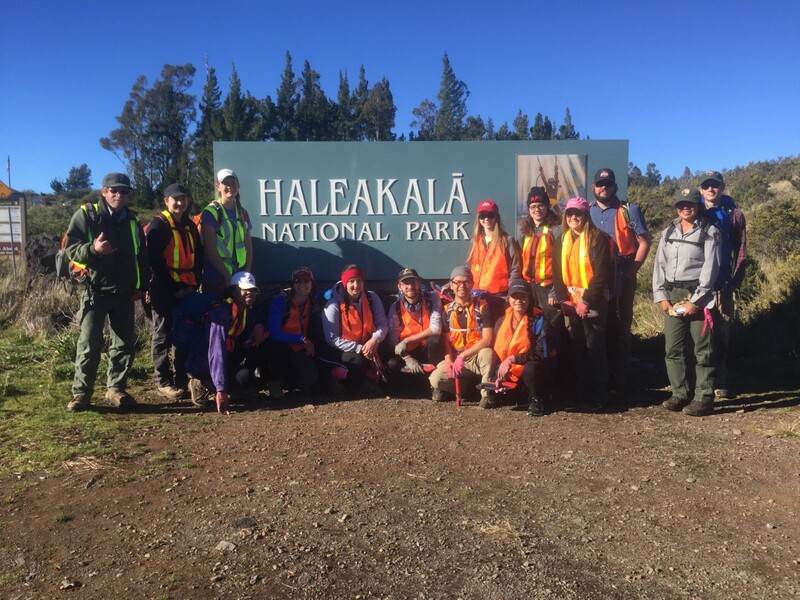 I was able to explore the beautiful backcountry of the island of Maui with 11 other people. 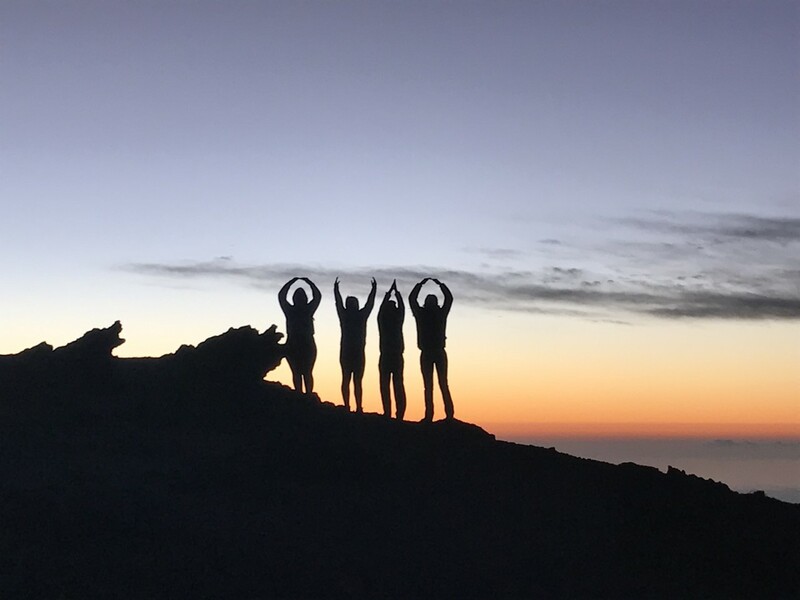 A 9 day backpacking and service trip provided through the university’s Buck-I-SERV and Ohio Adventure Center programs. I became what some would say “crazy hiker person” for that 9 day trip. Never once did I see the inside of a resort, but instead we stayed in close quarters of what seemed to be the smallest 4 person tents. Never once did I shower with more than a garden house or the salt-water waves of the Pacific Ocean. Only twice did I have dinner prepared in an actual kitchen. I learned to envy those “crazy hiker people”. I had never felt so out of shape until this trip. The adventure part of this experience were definitely some of the most strenuous work I have ever done. Never before would I have thought hiking would be a difficult task, but that was before I went down into a crater of a mountain then expected to go back up, not to mention this mountain sits 10,000 feet above sea level at its highest point. Let alone the work that goes into surfing! Surprisingly I was actually not half bad at the surfing deal, but man did I just want to lay on my board and take a nap. The people I met and the service we did were just as impactful. One day we planted 50+ coconut trees, ending the day covered in mud from head to toe. (Remember how I said I didn’t shower for 9 days…I came back to Ohio with mud in my hair still.) And 3 days later we cut down 2,300+ pine trees in the national park. Pine is an invasive species to Hawaii and will take over the land, not letting native species grow. Coming home with more than just mud and souvenirs, I gained awful tan lines from the days in the sun, there was no beautiful Hawaiian glow for me. There will never be enough words to describe this amazing experience nor will the pictures ever do it justice. So I encourage you, travel while you are in college, for it is one of my most memorable pieces about my college career.